The breeding methods used did not ensure enough genetic uniformity between GE and non-GE hybrids to attribute differences to the transgene as they claim. The authors provided very little information about the the original transformation event, and how the transformed line differed from its parent line (even after presenting data suggesting the lines had different phenotypes). The authors do not adequately discuss other possibilities that may explain their results, particularly with respect to the promoter they used and the impact of closely linked genes. Closely related traits (tiller production, panicle production, seed production) are presented as independent evidence of an increase in fitness. None of the experiments presented in this study were repeated. Update 26-March-2014 | more information on the weedy rice study here. The journals Weed Science, Crop Science, and most others in the field have similar requirements. The reason for this requirement is that there is inherent variability in most weed and crop research. Weeds tend to be very genetically diverse (including weedy rice; more on that later), and therefore a variable response to the growing environment is expected. It is therefore necessary to repeat experiments in time and/or space to ensure the effects are repeatable and generalizable. Repetition of experiments also decreases the chance of a Type I error (concluding there are differences when none actually exist). The only experiment in the Wang et al. paper that was repeated was the field study; but different genetic material was used in the 2009 and 2011 field studies. The authors created their putative resistant rice strain by adding a maize promoter to a native rice EPSPS gene.The authors cloned the EPSPS gene from the rice cultivar ‘Minghui-63’, added a maize ubiquitin promoter, and inserted the gene into the cultivar ‘Minghui-86’. The transformed rice strain was then named ‘EP3’. Presumably, this means that the two rice strains ‘Minghui-86’ and ‘EP3’ were near-isogenic; that is, the varieties were nearly identical genetically except for the presence of the transgene. The authors imply this, but never present any data confirming the similarity of 2 rice varieties. Rather, tucked away in the supplemental information file, Table S1 actually indicates there is a rather large difference between the ‘EP3’ and ‘Minghui-86’ rice lines. Supplemental Information Table S1 from Wang et al. 2013. 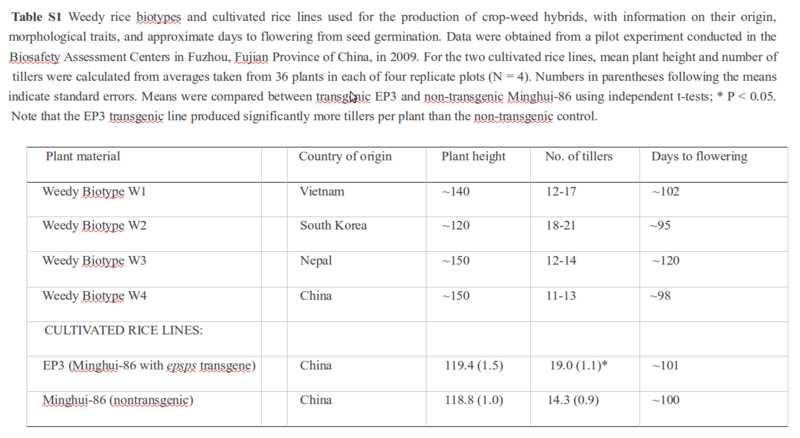 Notice the number of tillers produced by the GE rice (‘EP3’) compared to the Non-GE rice (‘Minghui-86’). The difference in tillers per plant ranges from 2 to 9; that is a rather important difference between the two lines that they are using to generate their F1 progeny. 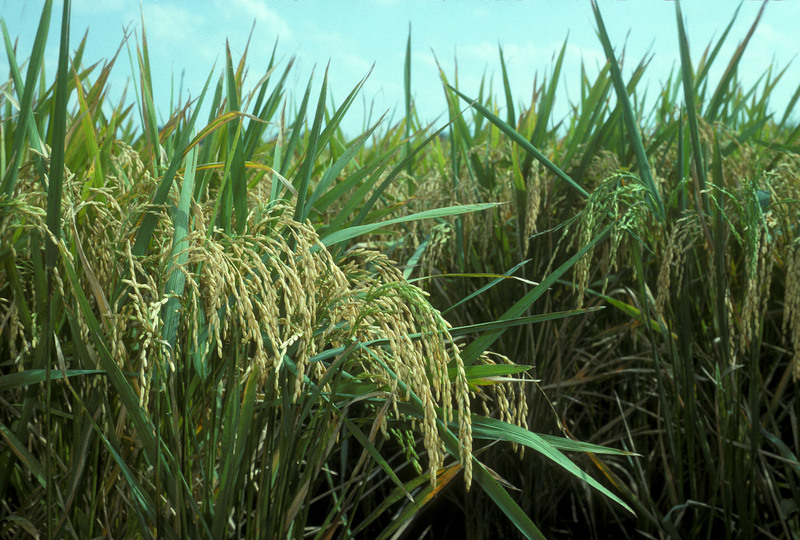 There are 2 possibilities for this difference; the most likely possibility is that the two rice varieties are not near-isogenic, and that they are genetically different enough to produce a significantly different number of tillers. The other possibility is that the two lines are near-isolines, and that the transgene in ‘EP3’ is actually responsible for the increased number of tillers. I can think of no obvious mechanism that would cause over-expression of EPSPS to result in additional tiller production. And also importantly, if the over-expression of EPSPS actually resulted in increased tiller production in the transformed ‘EP3’ line, why did the authors not explore this more fully? This seems like far more important information than the effect on weedy rice hybrids. UPDATE (September 24, 2013): Dr. Allison Snow (a co-author on the paper) informed me a while back that they have submitted “a fairly significant correction and clarification” to their paper. The primary change can be found in Supplemental Table S1. The change is related to my point above regarding the comparison of the GE and non-GE parental lines. Here is the updated table if you would like to compare them for yourself. Basically, they indicate that a statistical test was done to confirm tiller number was indeed significantly different between the parent line and the transformed line, and provided the tiller numbers as mean+/- standard errors instead of a range of values. An updated version of Supplemental Table S1 from the Wang et al. 2013 paper. 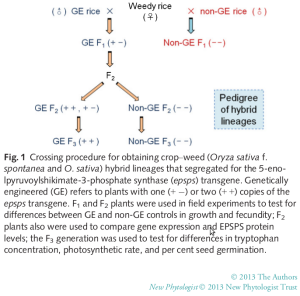 The authors used 4 different weedy rice biotypes collected from 4 different countries. 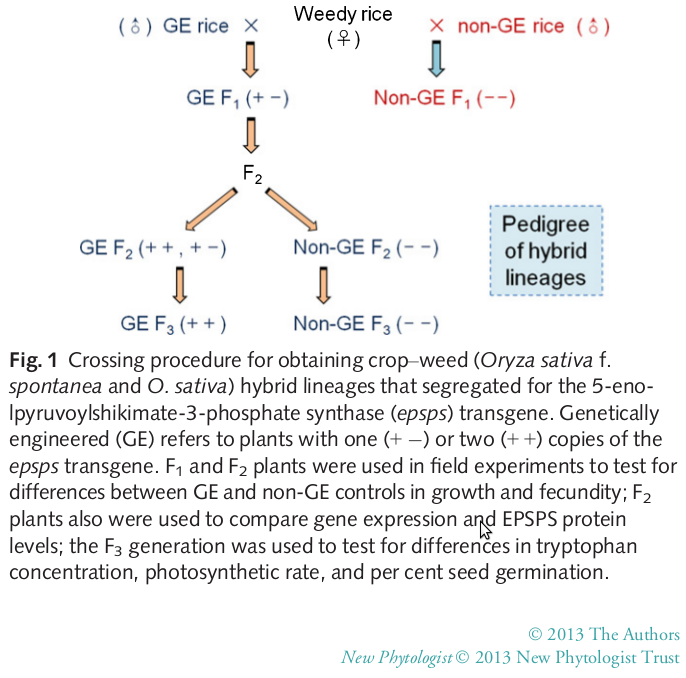 To create the F1 hybrids (see figure below), they crossed each weedy rice biotype with either the ‘EP3’ to generate GE hybrids, or ‘Minghui-86’ to create non-GE hybrids. Because there are some notable differences (particularly in tiller production) between ‘EP3’ and ‘Minghui-86’, we shouldn’t be surprised that there are differences between the resulting F1 hybrids (also in tiller production). Therefore, I think we cannot have any confidence that the results from the 2009 field experiments, which used the F1 hybrids, provide any evidence the transgene is causing observed differences. This seems like a pretty major overstatement to me. Certainly, since the F2 and F3 generations were a result of self-pollination, there will indeed be segregation of the novel EPSPS trait. But to say that they differ “only in the presence of the transgene and any traits linked to the transgene insertion site” seems inaccurate. The F1 generation was the result of a cross between GE rice and weedy rice, and thus ~50% of the genetics came from weedy rice. And there is a very large amount of genetic diversity in weedy rice populations. One common method for quantifying genetic diversity is the Shannon Diversity Index, which ranges from 0 to 1; zero represents a complete lack of diversity (e.g., a single genotype), and higher numbers represent a corresponding increase in genetic diversity. One recent study from China has suggested that genetic diversity in weedy rice has increased over time, and that up to 45% of total genetic diversity occurs within populations. The two most recent populations in this Chinese study had Shannon Diversity Indices of 0.397 and 0.728. By comparison, kochia (Kochia scoparia), a troublesome outcrossing weed in the US, is often considered to have very high genetic diversity. 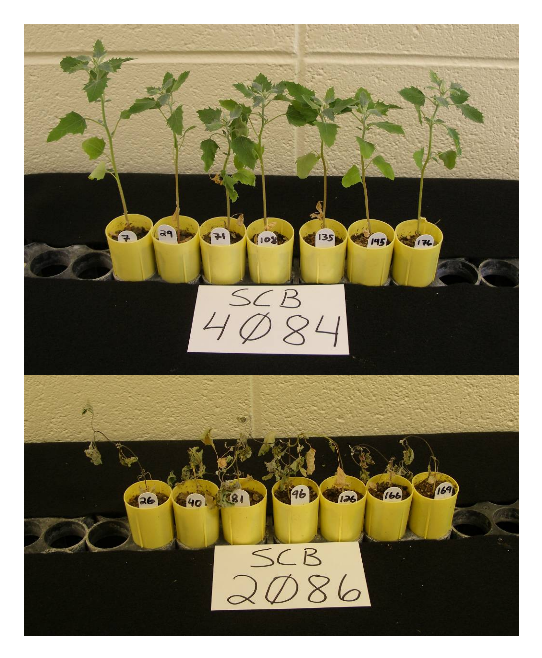 Using similar methods, kochia was reported to have Shannon Diversity Index values of 0.42 to 0.52. Now, the number of biotypes used and the number of genetic sequences analyzed can impact these numbers quite a bit, but I think we can safely conclude that there exists substantial genetic diversity within weedy rice. I really don’t see how the consistency of results gives any indication of whether the results were due to the transgene or not, given their methods. There is really no way to tell from the information presented if the effect is due to the transgene or closely linked genes, regardless of how consistent their results are. If they repeated the study by inserting their gene into a different location, and then observed consistent results, then I would be more inclined to accept this reasoning. But again, none of the experiments in this study were repeated. Another possibility related to closely linked genes is the idea that the promoter they used is actually causing closely linked genes to be over-expressed. The authors present no evidence for or against this theory, but it seems possible. The promoter they used is the maize ubiquitin promoter. Maize ubiquitin is “expressed everywhere at every developmental stage” in corn, although not equally in all tissues/growth stages. So since this promoter resulted in strong expression of EPSPS in rice, it is quite possible that it has also increased production of other products coded for by closely linked genes. Which brings up an interesting question: could the promoter from a transgene increase expression of native genes that have a positive or negative effect on fitness? Even if the results presented by Wang et al. are not due to over-expression of EPSPS as the authors claim, it is possible that the effects are due to a strong promoter being inserted in just the right place and increasing expression of some native genes nearby. But, again, the authors did not explore this possibility and did not provide any evidence for or against. 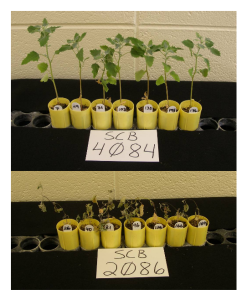 Over-expression of EPSPS has been demonstrated in at least 7 different crops using conventional breeding techniques, but has been unsuccessful at producing stable, commercial levels of glyphosate resistance at the whole-plant level. So it is interesting that the authors indicate they have achieved glyphosate-resistance using this method. But, notably, the authors never actually state how resistant their modified rice line is. They also mention that their approach of over-expressing EPSPS “can be very effective in tobacco and rice”. The reference in support of tobacco is also a little cagey about the level of glyphosate-resistance, only stating their GM tobacco lines “were tested by spraying RoundupTM with a commercial recommended dose.” The reference in support of rice was, again, “unpublished data.” Perhaps it is simply an oversight that the authors (and reviewers) of the papers were not concerned with, but it seems odd to me to say “commercial dose” instead of simply saying 840 g/ha or 250 g/ha, or whatever rate they used. Anyone familiar with the Roundup label will understand that “commercial recommended dose” provides very little information. Depending on the weed and crop you’re spraying, the “recommended dose” can range nearly 10-fold, from 11 fluid ounces per acre (0.38 lbs ae/A) to 3.3 quarts per acre (3.7 lbs ae/A). In order to commercialize this trait, the rice would probably need to withstand a minimum of 1.5 lbs ae/A glyphosate under field conditions. But we are given no evidence other than references to “F. 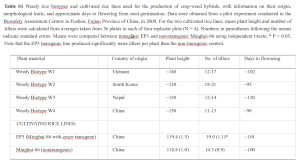 Wang, unpublished data” supporting that the parental rice line is resistant to glyphosate. The tobacco paper shows some seemingly convincing photos (See Figure 3 here). I’ve got similar photos of weeds sprayed with glyphosate ; but all of the lambsquarters in my photos to the right were susceptible to commonly used rates of glyphosate (0.75 lbs ae/A) in the field. So without knowing the rate applied, photos don’t tell us much. Without this data, it is difficult to assess whether the trait would ever even be released into the wild, making its effect on weedy rice a moot point. Monsanto developed Genuity Roundup Ready 2 Yield soybeans through extensive gene mapping that identified specific DNA regions in soybeans that have a positive impact on yield. Using advanced insertion and selection technologies, the Genuity® Roundup Ready 2 Yield® gene is situated in one of these high-yield DNA regions to help deliver high-yield potential. If the transformed rice line had its yield potential increased by the transgenic event (regardless of the mechanism), this would be an important discovery. One of the common criticisms of GMO crops is that they don’t increase yield of the crops per se, but only have an impact in the presence of the pest. If this GE trait were commercialized, and the tiller and yield differences are really due to the transformation event, this criticism would no longer hold much weight. Instead of being touted as a problem when it gets into weedy rice, the GE trait could actually provide a benefit to farmers even if it is never sprayed with glyphsoate. But I think more research is required before we can conclude much of anything.